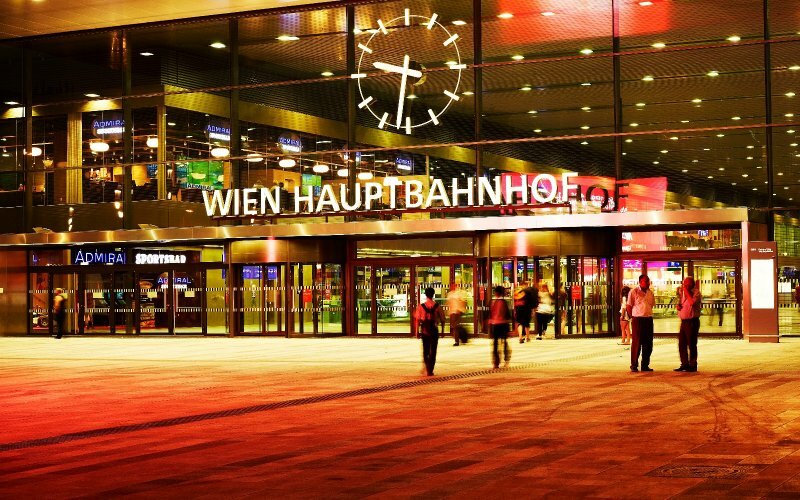 Cheap Train Tickets Austria - Book Now! Due to the central location in Europe, Austria is easy to travel to from all surrounding countries. 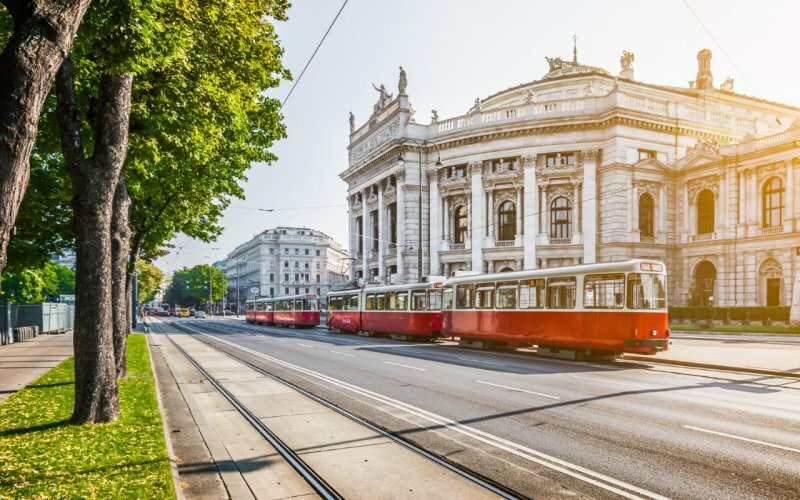 Vienna is, besides Budapest and Prague, one of the turntables for train traffic in central Europe. 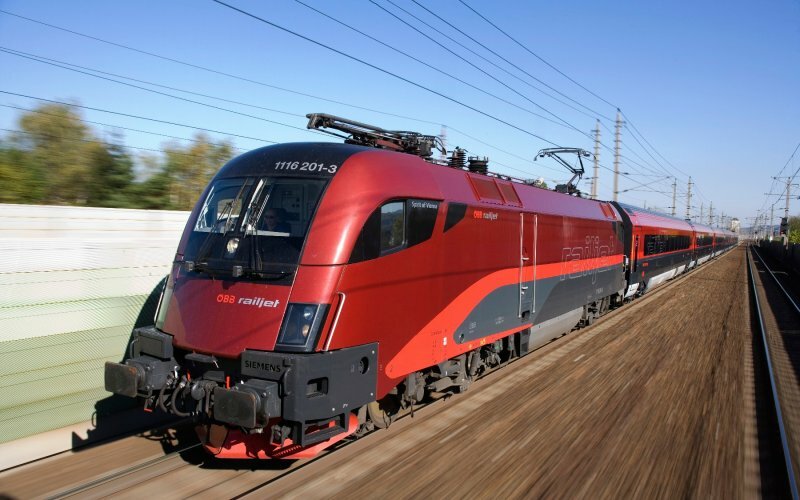 Modern and comfortable Railjet trains operate from Budapest, Prague, Munich and Zürich to Vienna, all connections run every 2 hours. German ICE high-speed-trains run every 2 hours from Nürnberg and Frankfurt to Vienna. There are also daily EuroCity-train available from Venice, Zagreb, Ljubljana and Belgrade. Regional trains run every hour to the Slovakian capital Bratislava. 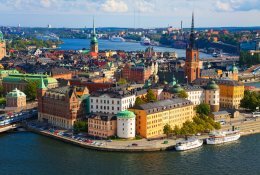 EuroNight-services operate every day from Hamburg, Berlin, Düsseldorf, Zürich, Rome, Venice, Bucharest, Krakow, Prague and Warsaw. There is also a weekly night connection from Moscow and St Petersburg. The Austrian railways run one of the least remaining night services in Europe. The trains consist of 2nd class seating cars with corridor-style compartments, 4 and 6-bedded couchettes and sleeping cars with compartments for 3, 2 and 1 persons. One of the best sleeping cars of Europe operates in the night train from Vienna to Florence and Rome and back. Book the “De Luxe” compartment and you will get a spacious compartment with your private shower and toilet. A welcome drink and breakfast are included in the price. The compartment also features a double bed, which is unique on board of a train since almost all sleeper compartments have bunk-style beds above each other. The cities of Linz and Salzburg are located on the Westbahn-railway, and are connected with the Railjet, ICE-trains and EuroNight-services to Germany. 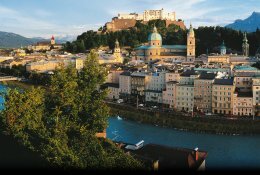 There are a few daily EuroCity-services from Frankfurt via Munich and Salzburg to Graz and Klagenfurt. Regional trains run from Munich to Salzburg and to Passau from Germany. 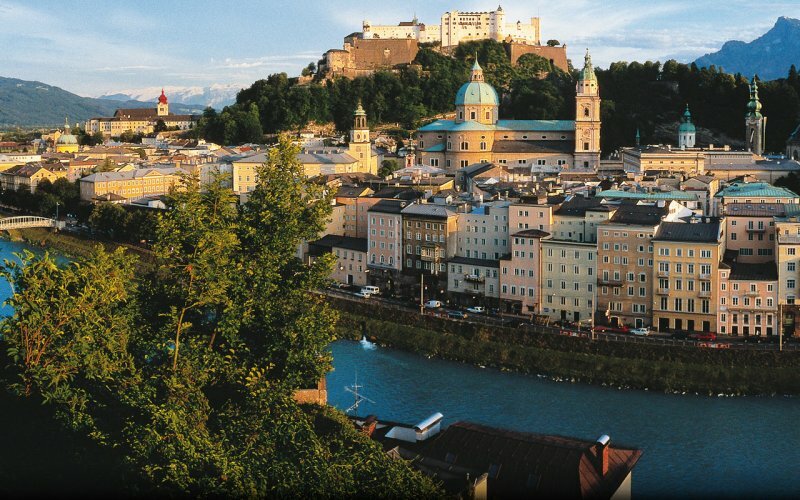 The capital of Tyrol, Innsbruck, is connected with 2-hourly EuroCity trains from Munich to Italy (Bolzano-Verona-Venice/Bologna) and Railjet-trains Zürich-Innsbruck-Vienna. The CityNightLine-trains from Munich to Italy also call here. An daily Intercity connects Innsbruck with Frankfurt and Cologne. Regional trains run from Munich to Innsbruck via Garmisch via the scenic Karwendel-railway. 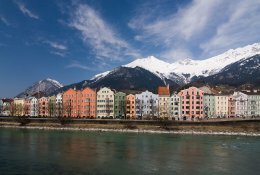 There are also regional trains from Munich to Kufstein, Reutte to Garmisch , Lindau to Bregenz, Brennero to Innsbruck and Fortezza to Lienz. 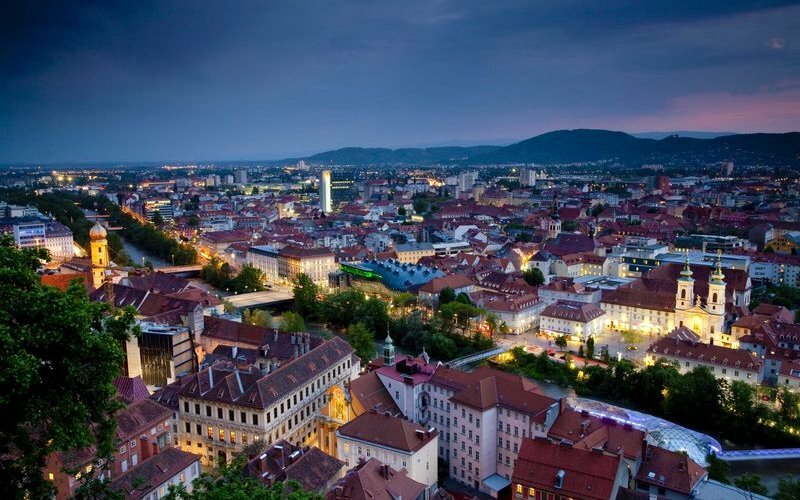 The nice historical city of Graz is connected with daily EuroCity trains to Ljubljana, Zagreb, Munich, Frankfurt and Zürich, also an overnight EuroNight-service to Zürich is available. 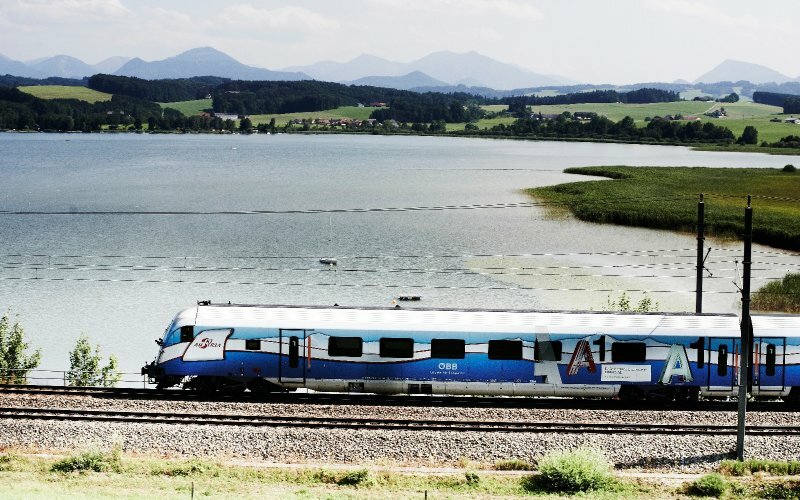 Klagenfurt is connected with both trains from Munich and to Italy, Villach is also connected with direct trains to Slovenia and Croatia. Regional trains run from Tarvisio to Villach, Ljubljana to Spielfeld-Strass and from Graz/Wiener Neustadt to Hungary. Special weekly winter sport services operate from The Netherlands, Belgium and Germany to the Austrian ski regions in Tyrol, Vorarlberg and Salzburger Land. 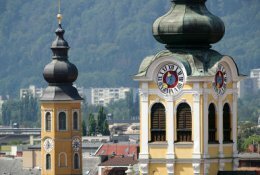 The Austria Express operates a weekly friday-departing, saturday-returning service from Christmas until early March, trains leave from Brussels, Antwerp, Rotterdam and Utrecht direct to Innsbruck/Landeck/Kitzbühel and Zell am See. The German Schnee Express connects Hamburg and Cologne with the same destinations on the same dates. 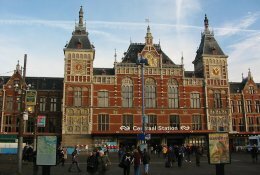 In the Dutch February holidays extra services are provided from The Netherlands to Austria by the Krokus Express (daytime train) and Sneeuw Express (sleeper train). All services are overnight, arrival is next day. The car travels on the same train as you, sleeping accommodation in sleeper compartments, couchettes and 2nd class seating coaches are available. Single fares for cars start at €89, for motorbikes at €69. Karwendelbahn Munich-Garmisch Partenkirchen-Innsbruck: Secondary and pittoresque route from Munich to Innsbruck. Wonderful descent into the Inn-Valley. Giselabahn Wörgl-Swarzach St Veit: Winding railway through Tyrol and the Salzburger Land, passes a lot of famous winter sport resorts like Kitzbühel and Kirchberg. Tauernbahn: Swarzach St Veit-Villach: Transit route through the Alpes to Villach and Slovenia, runs over the impressive Falkenstein-viaduct. Insider tip: Take a meal in the dining car: All Railjet and most EuroCity-services have a full dining car available, in Business and first class it is also possible to order meals at your seat. 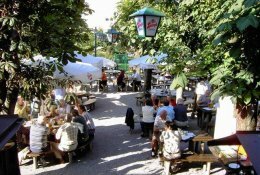 “Henry am Zug” offers a wide range of Austrian dishes. Order a “Kalbsbutterschnitzel” with a 0,5 liter “Paulaner Weissbier” and a “Beeren-Semmelschmarren” as dessert while the spectacular landscape passes by and the train winds his way through the Alps. 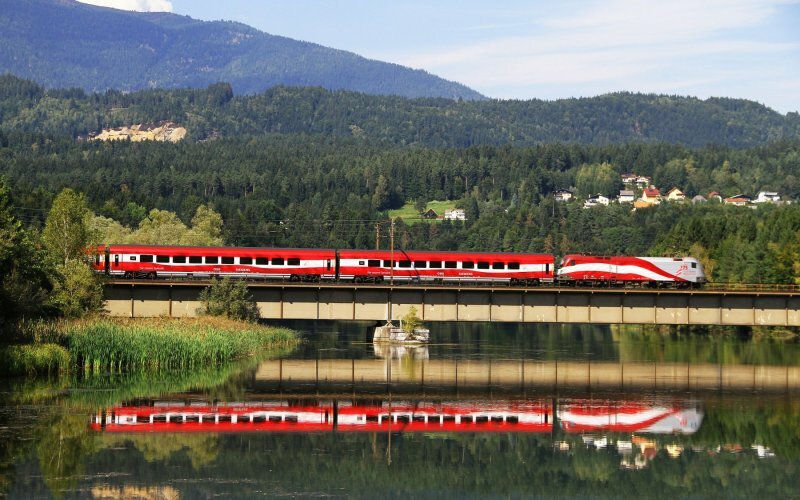 Insider tip: Travel Eurocity “Transalpin” in het panoramic coach: The EuroCity “Transalpin” connects daily Zürich (08.40) with Innsbruck (12.24) and Graz (18.14) and back (Graz 12.40-Innsbruck 15.43-Zürich 19.20). 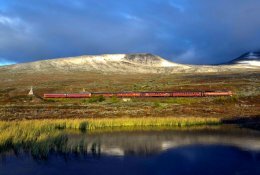 This trains runs from west to east and back through the Alps and uses the scenic Arlbergbahn and Giselabahn. The train conveys a Swiss first class panoramic car with large windows. Sit back, relax and watch the spectacular landscape pass pay. The panoramic coach is accessible with any 1st class ticket, a seat reservation is possible but not compulsory. This train also has a Austrian dining car for a meal. 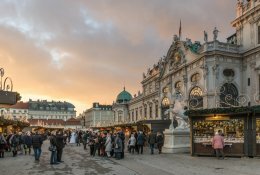 With a Interrail One Country Pass Austria you can travel for a various days throughout Austria. At Happyrail.com you can make your seat reservations on the trains as well. This is possible to do before your travels and during your travels. 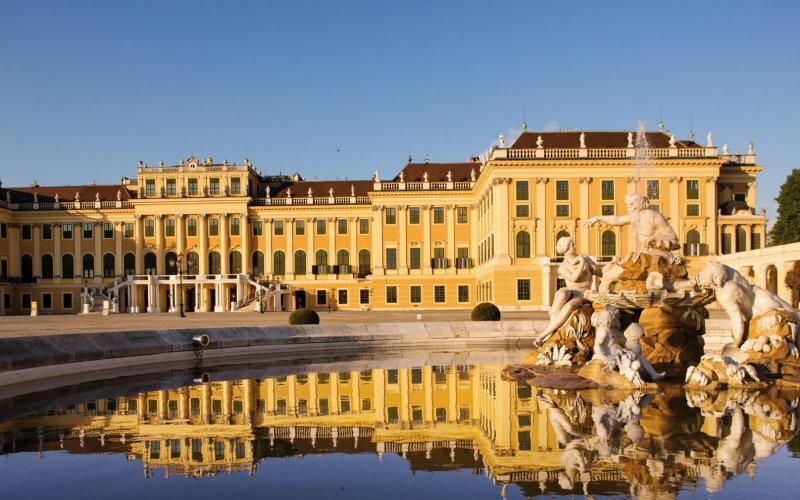 With a Eurail One Country Pass Austria you can travel for a various days throughout Austria. At Happyrail.com you can make your seat reservations on the trains as well. 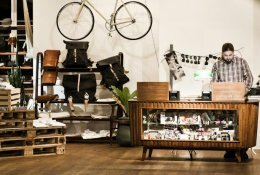 This is possible to do before your travels and during your travels. We've selected the follwing hotels in Austria. All hotels are near the mains stations and offer a good and comfortable stay for good rates. Salzburg: Hotel Guter Hirte Family hotel in a quiet resident area near Salzburg Hbf. Innsbruck: Hotel Goldener Krone Traditional Austrian hotel near the Innsbruck golden roof and Innsbruck Hbf. Family hotel in a quiet resident area near Salzburg Hbf.